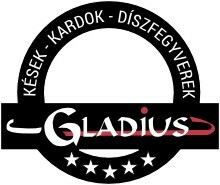 Karambit kések 42 terméket találtam. 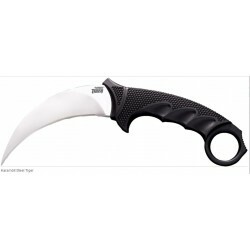 Cinq 1 Karambit - 4 5/8" closed framelock. 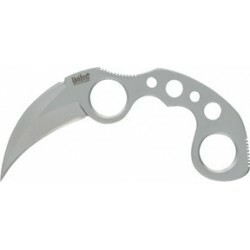 420HC stainless talon blade with thumb hole pull. 420 J2 stainless frame with finger ring. Both blade and frame have a non-glare black finish. 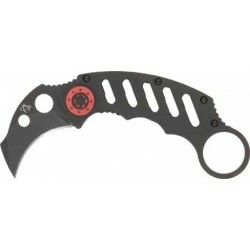 Frame has red trim and stainless pocket clip. 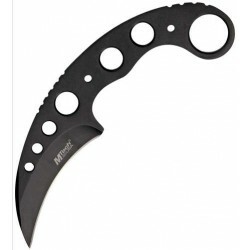 MTECH FIX PENGÉS KARAMBIT KYDEX TOKKAL, CLIP TELJES HOSSZ. : 17,5 cm. PENGE HOSSZ. : 8 cm. 440 Rm. 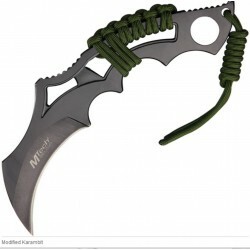 MTECH KARAMBIT KYDEX TOKKAL MTech Modified Karambit. 8" /20cm./overall. 3 1/4" /8,1cm/blade. 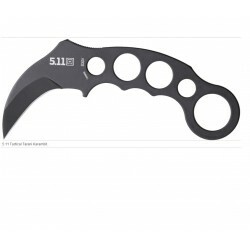 One piece black coated 440 stainless construction. OD green paracord wrapped handle. 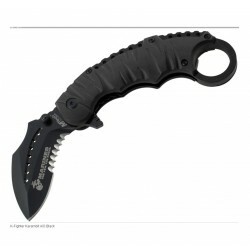 Black Kydex sheath with lanyard. 8.75" / 22.2 cm./ overall. 4.75" / 12 cm. 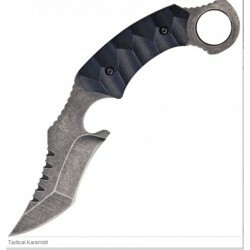 /stonewash finish AUS-8A stainless karambit blade. Black textured Griv-Ex handle. Kray-Ex handle overmold. Finger ring. Black Secure-Ex belt sheath. Boxed. 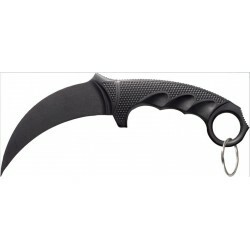 KARAMBIT ZSEBKÉS , NYITÁS RÁSEGÍTŐVELKarambit A/O - 4 1/2"/ 11,25cm./ closed linerlock. 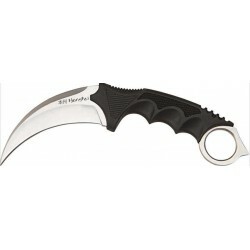 2 1/4" /5,6 cm./assisted opening black coated stainless blade with thumb hole and extended tang. 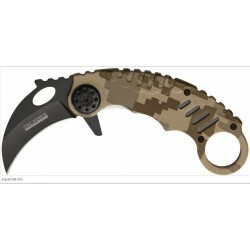 Tan digital camo anodized aluminum handles with black trim and integrated finger hole. 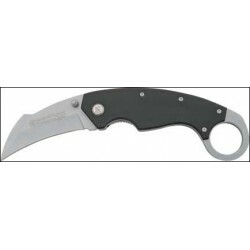 Black finish stainless pocket clip.